10 Of The Most Shocking ‘Last Meals’ Requested On Death Row. When prisoners commit heinous crimes of murder, especially when multiple lives are lost, the ultimate penalty is to end the criminal’s life. And eye for an eye, a tooth for tooth. The practice of giving a last meal to a death row inmate dates back several centuries, starting in Europe. The belief was that if the inmate accepted their last meal, it meant that they made peace with their host and would not return as a ghost after death. The tradition has continued strongly, and the practice is still in the United States prison system. The inmate can request whatever they want for their last meal, within reason. It is the inmates last opportunity to gorge on their favorite foods, reminisce about their life, and hopefully make peace within themselves over their impending doom. 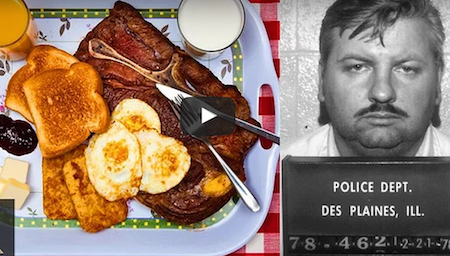 Check out 10 of the most shocking last meals requested on death row in the video below! Real Crazy Unexplained UFO Sightings, What Do You Think?